CNN-News18 Indian of the year for 2015: The Grand finale of the Event took place yesterday evening at New Delhi with People of Chennai receiving “Indian of the Year“. RJ Balaji Speech was a highlight of the event. RJ Balaji, singer Chinamayi, Aruna, wife of famous Vishwanathan Anand and Selva Ganesh received Indian of the Year, after delivering for their heroism during the devastation that happened because of the worst rains in the city in past 100 years. The people of Chennai came out on flooded roads to carry out organise boat rescues, cook, neighbours and distribute food to the hungry and homeless people. Singer Chinmayi Sripada, and fellow Chennaites Selva Ganapathy, Aruna Anand, and RK Balaji accepted the award on behalf of People of Chennai from Union Transport Minister Nitin Gadkari at a function held in New Delhi. During Chennai floods during November-December 2015, because of worst rains in the city in over a century, several local residents, including film stars and other famous celebrities opened their homes for those who were stranded without shelter or food. Lifetime Achievement Award: Balbir Singh Dosanjh. Special Achievement Award: Ranveer Singh. Outstanding Achievement Award: Dr. Bindeshwar Pathak. Outstanding Achievement Award: United Technologies(Make in India). Winner of Special Jury Award: Leander Paes. Special Achievement Award: Kangana Ranaut. 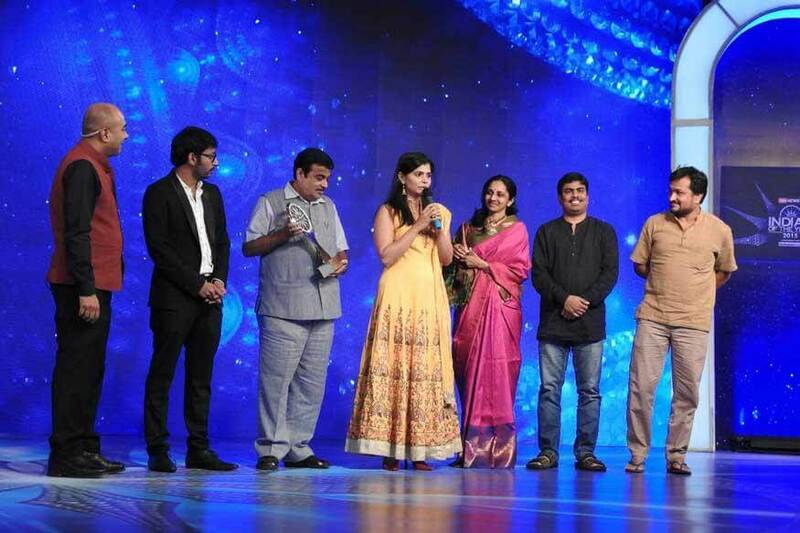 The winner in Entertainment category: SS Rajamouli. The winner in sports category: Sania Mirza. The winner in Public Service category: People of Chennai. The winner in Business category: Bandhan Bank. Share your comments about “RJ Balaji Speech at Indian of the Year Award and IOTY Winner List” as comments down.